Ten years ago, the main treatment for kala azar - a disease that kills up to 40,000 people every year - was a 30-day course of injections, a difficult undertaking both for patients and for the poorly equipped health centres in the remote areas where many cases of the disease occur. Today, combination therapy has cut the treatment period to 17 days in some affected areas, but scientists and health officials continue to work towards developing a simple pill that would replace painful injections and further ease treatment. The sand fly-transmitted disease, also known as visceral leishmaniasis, causes painful lesions and is fatal without treatment. It is found in Ethiopia, Kenya, Somalia, South Sudan and Uganda, as well as parts of Asia, eastern Europe and the Middle East. It is just one of 17 illnesses on the UN World Health Organization's list of neglected tropical diseases, which cause an estimated half a million deaths annually. For the past 10 years, the Drugs for Neglected Diseases Initiative (DNDi) has been involved in research and development (R&D) for neglected diseases around the world, developing six new treatments for malaria, sleeping sickness, kala azar and chagas. A two-day event was recently held in the Kenyan capital, Nairobi, to take stock of the last decade of health innovations for neglected diseases in Africa. There, more than 400 scientists, government health officials and members of the organizations that make up DNDi agreed that while significant progress has been made in the fight against several neglected diseases, better leadership, coordination and funding will be necessary to eliminate them from the continent. "When I first started practising medicine about 20 years ago, I remember losing two patients, both aged about 20, to sleeping sickness. The disease didn't kill them; the toxicity of the treatment did...It was terrible for their families, and for me," Wilfried Kalonji Mutombo, a government doctor working in the Democratic Republic of Congo's southwestern province of Bandundu, told IRIN. "Now, we treat sleeping sickness with a much less toxic regimen of tablets and intravenous infusions. It's much less stressful." But Mutombo still struggles to get the drugs from the capital, Kinshasa, to Bandundu. "I have to drive 10 hours from Kinshasa, and can only carry drugs for a few patients. Treatment for four people - boxes of pills and intravenous kits - weighs 30kg," he said. "Once I arrive in Bandundu, I will usually get on a boat for about six or seven hours to get to the health centres that need the drugs, and even then, they may not have trained staff to administer the medicine... It's hard to maintain trained staff in these remote areas." DNDi is currently involved in clinical trials of fexinidazole, a new 10-day, oral-only treatment for sleeping sickness in DRC and Central African Republic, which would significantly simplify the treatment of sleeping sickness. Speaking at press conference on 5 June, Marcel Tanner, chair of DNDi's board of directors, said that in order to successfully eliminate neglected diseases, Africa would need to overcome the "fatal triangle" of neglected diseases, neglected people and neglected health systems that continued to hold back progress. But it is not just health systems that need improvement; poor road networks, inadequate local research capacity, corruption, conflict and the remoteness of many of the areas where these illnesses are found all hinder efforts to control neglected tropical diseases. "First you have to ensure that you develop the best, most appropriate drugs, but the people affected by these diseases are the poorest of the poor, so we must convince pharmaceutical companies that they will find a market if they invest in R&D for them ," John Amuasi, head of R&D at Ghana's Komfo Anokye Teaching Hospital, told IRIN. Patent pools, where patent holders license their technology for use by generics manufacturers, and advance market commitments, in which donors commitment to subsidize the purchase of vaccines not yet on the market, have been useful, he said. "Once you have a cheap drug, you then need a solid, reliable supply chain so people who need the drugs are able to access them wherever they are," he added. Innovative ways to deliver drugs, such as the so-called Coca-Cola model - which uses the private distribution mechanisms to improve access to medicines - and the increasing use of mobile phones to report shortages and coordinate deliveries, can help improve supply chain mechanisms. "Corruption is another problem. Under the Affordable Medicines Facility for malaria [AMFM], some drugs that were meant to be sold for US$1 were found on the market for as much as $10 in countries not involved in the programme," Amuasi added. 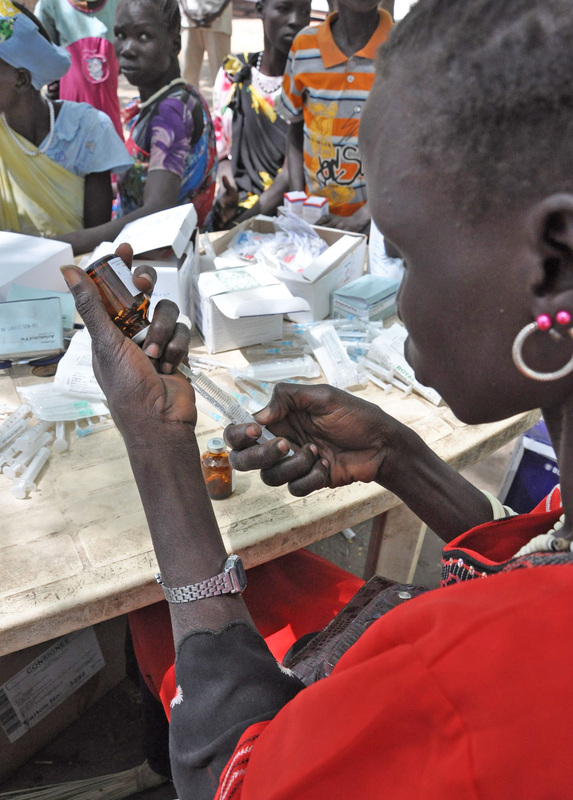 "We can improve awareness among communities about what they should be paying for medicines. For instance, with the AMFM, communities need to be aware that drugs bearing the green leaf logo of the AMFM should cost no more than $1." Building the capacity of African governments and research facilities will also be important for the fight against neglected tropical diseases. DNDi is working with a number of African governments to create a regional authority for drug regulation. It also supported the creation of the Leishmaniasis East Africa Platform in 2003 and the Human African Trypanosomiasis Platform in 2005 to strengthen research capacity around the two diseases. "As the African scientific community, we need to strive to build the scientific excellence to take ownership of research for health," James Macharia, Kenya's Cabinet Secretary for Health, said at the press conference. "Even with such integrated strategies, and the political will required to propel them, in addition to the resources required... we must not forget that the right tools for elimination are necessary to really see the elimination of many of these diseases."